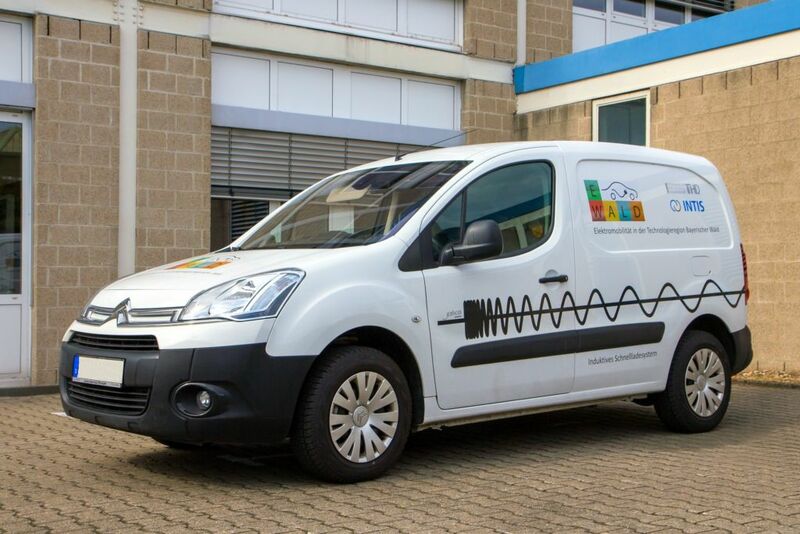 WPT is a technology that allows electric vehicles (EVs) to be charged without cables, by transferring energy between a charging coil on the ground and a receiving coil installed underneath the vehicle. With WPT, EV users will not even have to think about charging their EVs, as the vehicles will always be charged and ready for use. 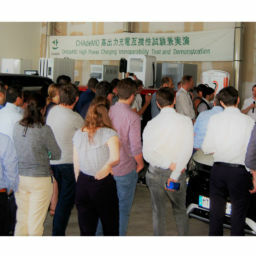 INTIS (Integrated Infrastructure Solutions GmbH), an IABG spin-off founded in 2011, has integrated the CHAdeMO DC charging interface in their inductive charging technology and developed a 30kW CHAdeMO inductive charging application, in partnership with THD. 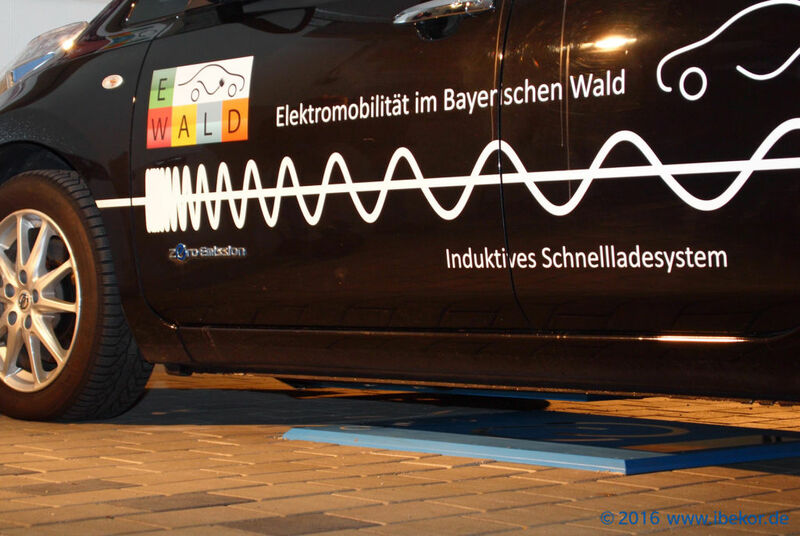 As part of the Bavarian e-mobility project “E-Wald” (Elektromobilität in der TechnologieRegion Bayerischer Wald), the team has equipped a Nissan LEAF and a Citroën Berlingo with receiving secondary coils (“pickups”) underneath the vehicles (appx 90cm x 90cm) as well as two boxes of power electronics under the bonnet – the first box (the “matching” box) regulates power coming from the WPT-system, and is connected to the second box (the “CHAdeMO” box). 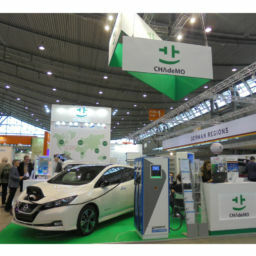 The “CHAdeMO” box provides the interface between the vehicle and the inductive charging system, through which all power and charging communication links run. 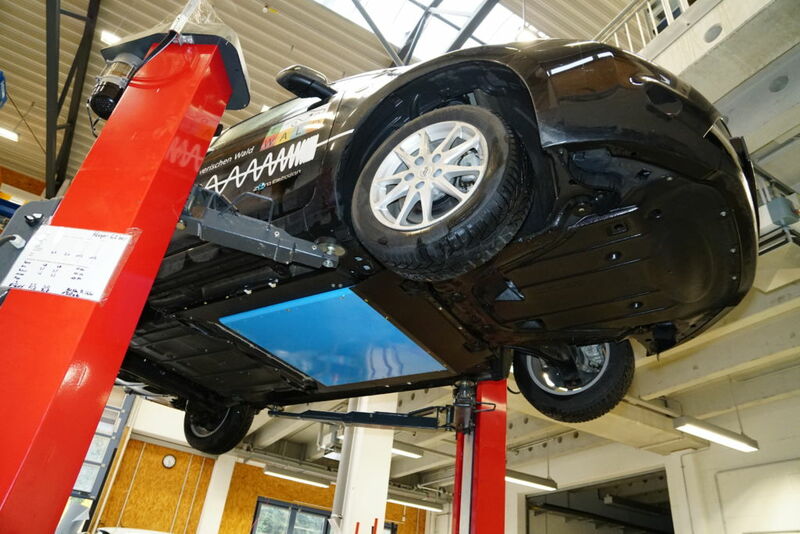 This 30 kW WPT-system has a positioning assistant (using Low Power Excitation technology) to aid the correct positioning of the vehicle over the charging plate, as well as all necessary safety systems (such as foreign object detection and living object protection systems). An additional display was installed in each vehicle to act as the human machine interface. 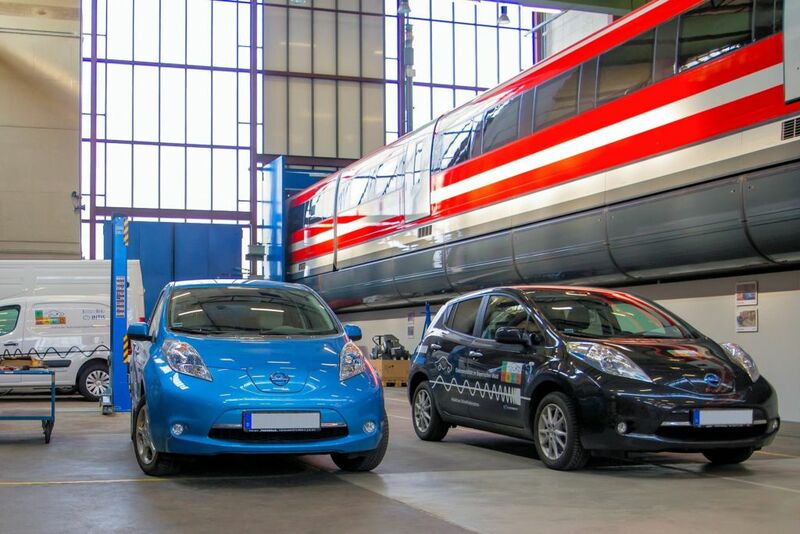 However, no alteration of the vehicles’ electronics was made, as the EVs are charged via the vehicles’ existing CHAdeMO DC fast charging interface, and the fast charging system in each vehicle “sees” a cable connection. All vehicles’ safety systems remain intact and unaltered. Also, the additional display could be integrated into the native display in the vehicle if vehicle OEMs were to offer API-kits for their entertainment systems. 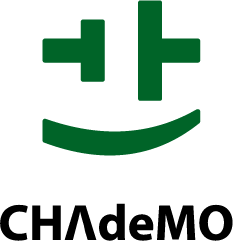 This opens the door to any existing EVs with CHAdeMO inlets to be made compatible with their inductive charging system, allowing use in commercial applications such as industrial vehicles, delivery vans and light trucks, and eventually taxis and buses, without having to wait for the long process of standardising the vehicle interface for WPT technology that is under way. More information available in our interview piece with Richard Gould, Head of Business Development at INTIS.